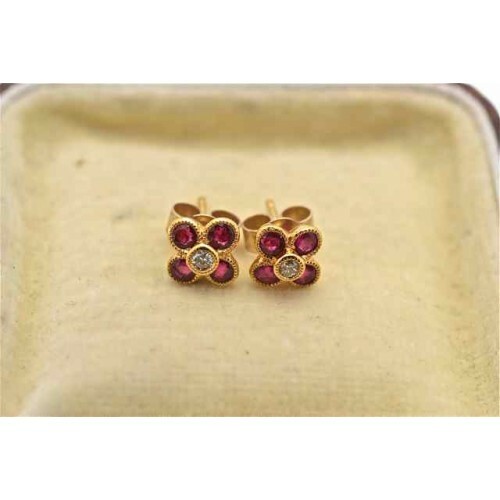 Flower shaped ruby and diamond earrings. 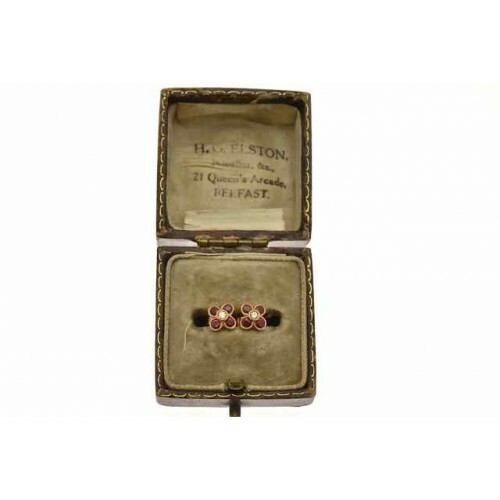 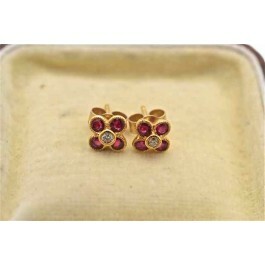 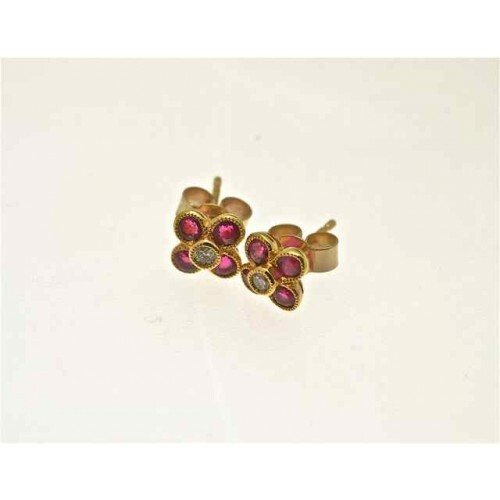 Flower shaped ruby and diamond earrings, with 9ct gold backs. 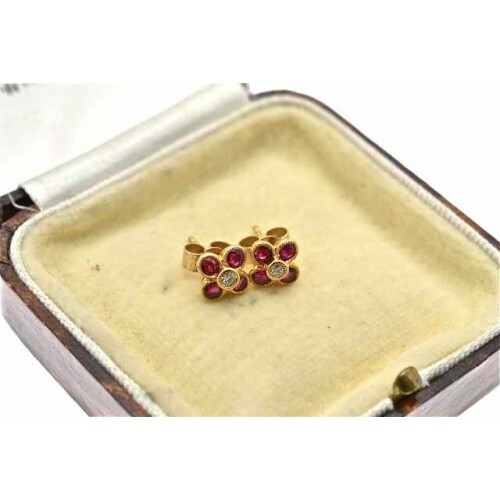 The four circular rubies sit behind the raised diamond point that make up the flower shaped setting.